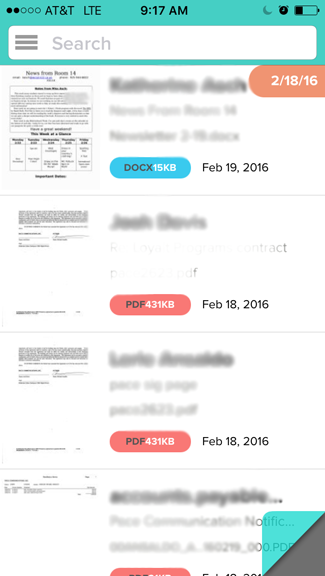 New mobile app gives you a searchable feed of all the files concealed in your inbox. Do you know what attachments are buried in your inbox? Probably not. The generous storage limits email services have bestowed upon us have turned our inboxes into de facto repositories for all the files we’re sent daily. With no easy way to locate a file we need. A new mobile app called Dittach aims to solve this problem. 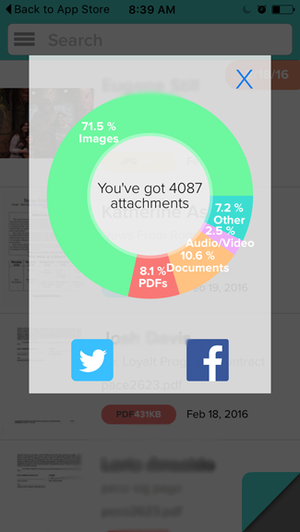 Dittach reveals all your email attachments in a searchable, chronological feed. Dittach connects with your email service to provide a streamlined view of all the attachments you’ve stockpiled over the years. All you do is enter your email login and the app presents you with a chronological feed of all your attachments. Each entry features a thumbnail of the attachment along with the sender, the file type and name, and the date it was sent. You tap on the attachment to view it, then tap the the sharing button to save, print, or forward it. It couldn’t be easier. 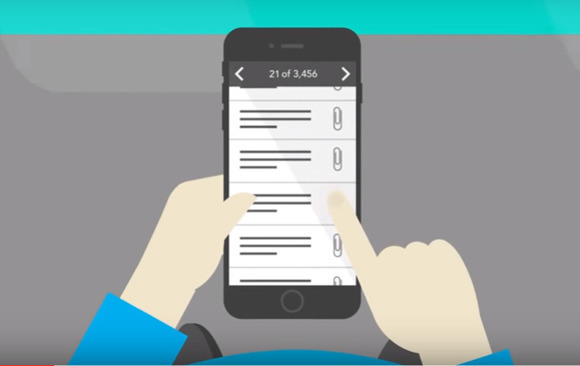 Date scroller: This clever feature sits to the right of your feed. Just place your thumb on it and scroll up or down to move forward or backward through time. Search bar: Dittach indexes your attachments, so the contents of word documents, spreadsheets, PDFs, and other popular formats are fully searchable. You can also search by sender. Dittach’s interface is incredibly intuitive and the dive into your accumulated attachments can be a real eye opener. In my own feed—which went back five years—I found tons of writing contracts, a handful of tax and financial documents, and miscellaneous other files containing sensitive information I didn’t want sitting on Gmail’s servers. Dittach made it relatively easy to download these attachments so I could move them to more secure storage. When you first log in, Dittach serves up stats on all your attachments broken out by file type. Currently, Dittach is available for iOS and works only with Gmail. Dittach CEO Daniel Gelernter says an Android app should be available in about two months and expansion to Outlook is next on the agenda. But email is only the beginning of the solution, he says. The plan is for Dittach to eventually work with the all the sources that house our attachments, including social media and services like Dropbox and Slack. “Ultimately, Dittach will offer you that one access point, that convenient single interface from which you can access all the digital information in your life,” he says. To download Dittach today, visit the iOS app store. There’s currently a waiting list to use the app, but Gelernter says you’ll typically be granted access within a day of signing in.